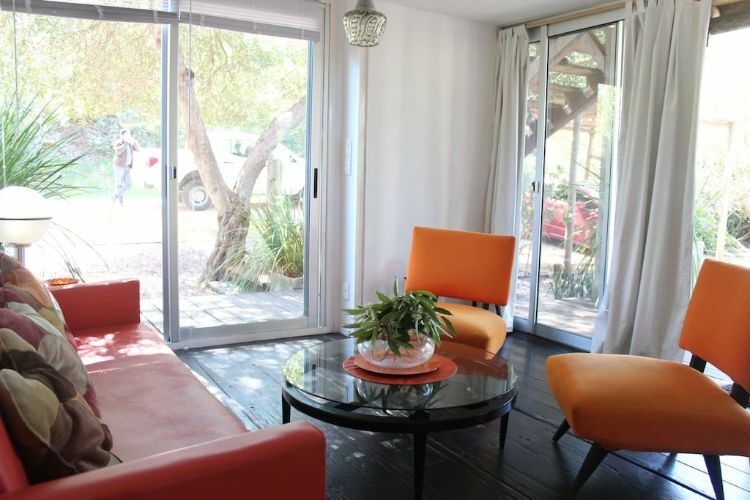 Today, we're bringing you a peaceful container retreat. 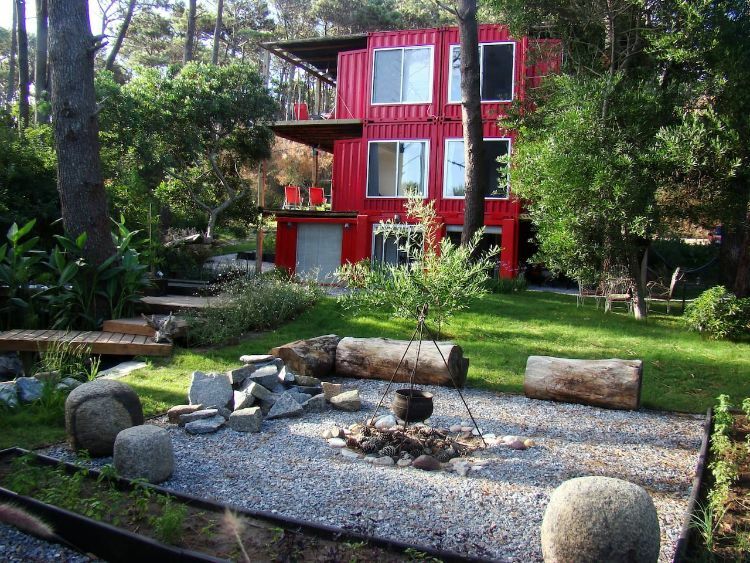 The CDL Container Design Lofts are making their mark in the Uruguayan AirBnB scene. Nestled inside a small fishing town called José Ignacio, in the Maldonado region, this compelling modular build beckons visitors to embrace the simpler things in life. Intrigued? Let's venture a little closer. 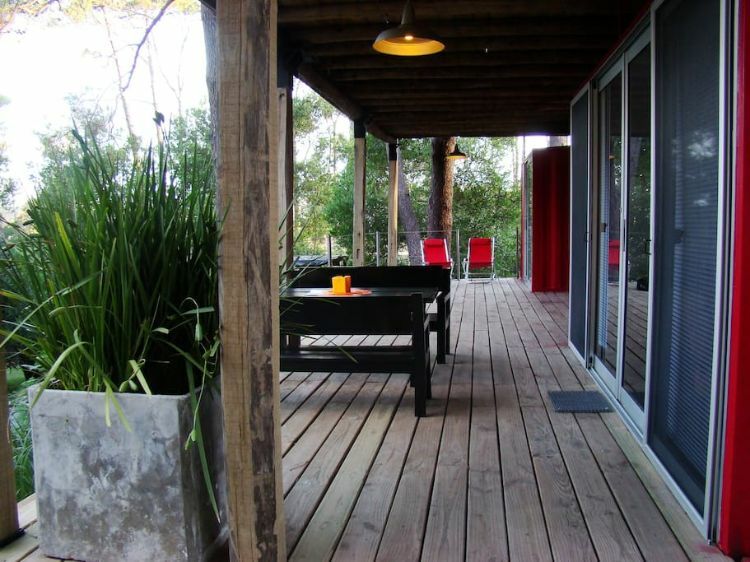 Four shipping containers were used in the overall design - each comprising a special room for the retreat's guests. 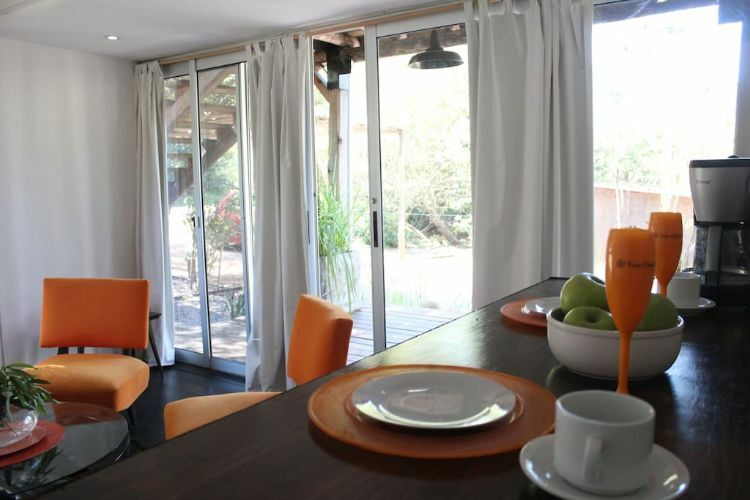 The private yard includes a vegetable garden and bonfire cooking essentials. Upstairs, a spacious deck showcases the surrounding forested vistas. Bright furnishings greet us into the homey open-plan interiors. The living area sustains some of the exterior motifs, through its red furnishings, a touch of greenery and lush wooden flooring all around. The kitchen is minimalist and complete, with a breakfast bar and your culinary staples within an arm's reach. 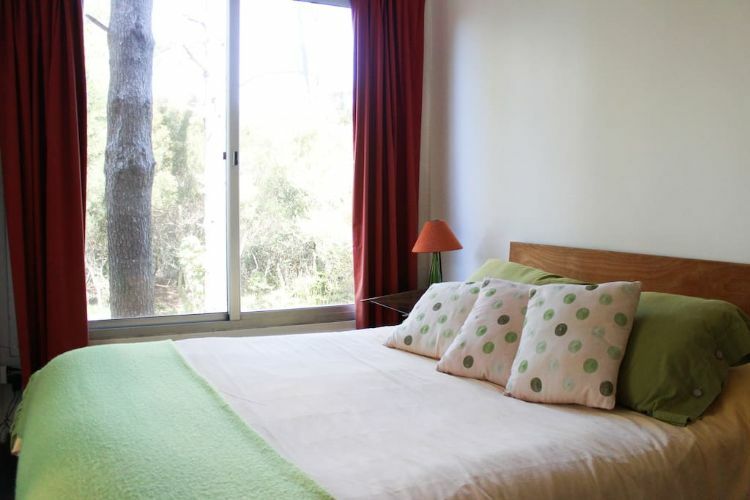 An ample amount of cushions line the cozy bed, and a bedside lamp adds a bit of color to this room. 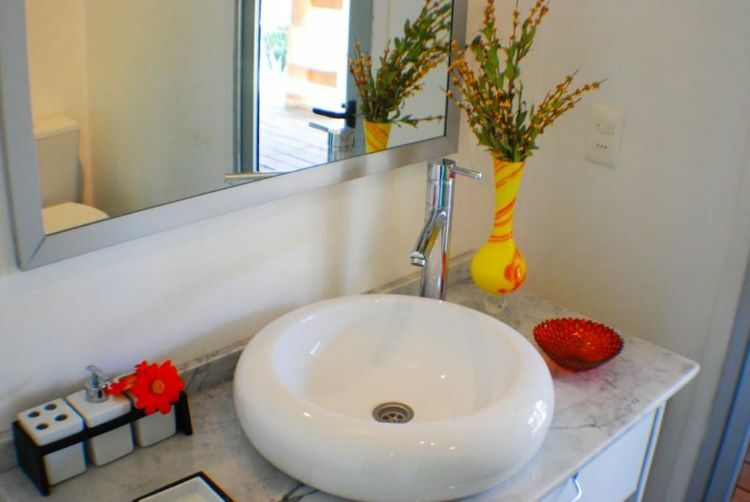 Lastly, a small fleet of colorful decorative pieces brings out the artistic side of the bathroom's vanity. 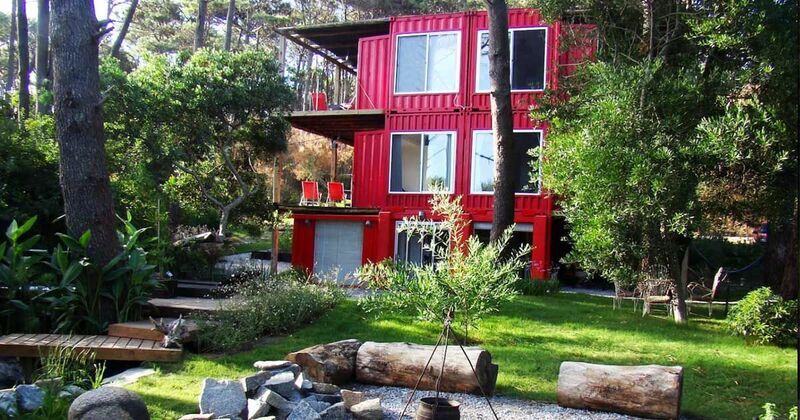 You can tell that this container home is designed for a soothing, hospitable experience. 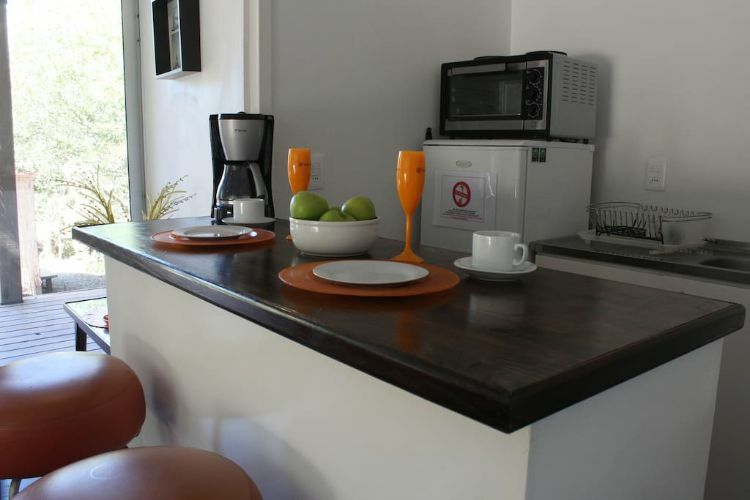 Ideal for anyone wanting to immerse themselves in a simpler lifestyle while on vacation.